Åke Axelsson furnishes Värmland Museum. 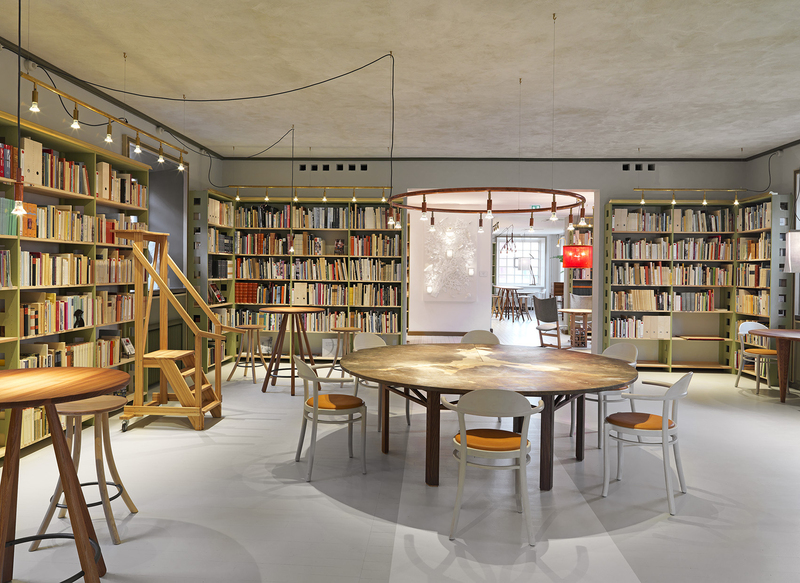 The library at Värmland Museum has now reopened after parts of the museum underwent an extensive renovation conducted by Åke Axelsson. Architect Cyrillus Johansson, who originally designed the museum in 1929, was inspired by classicism and Chinese temples. In 1998, the museum was complemented with a building by Carl Nyrén. 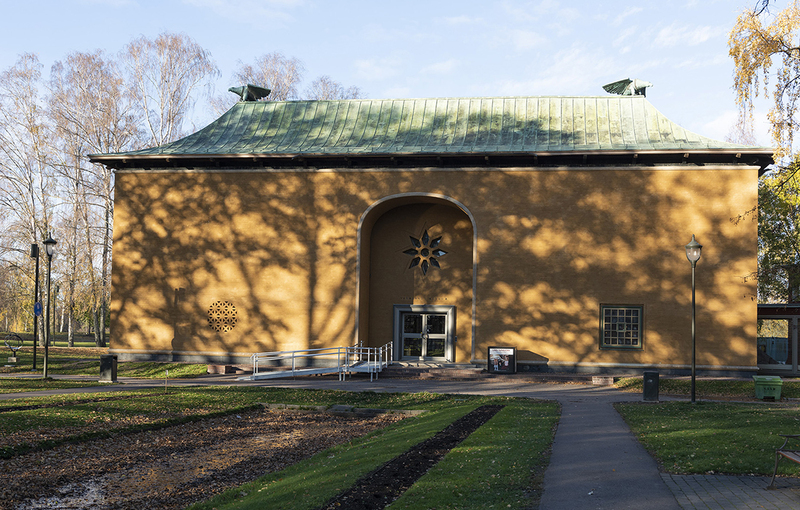 Åke Axelsson, along with museum director Åsa Hallén, has focused on recreating the old museum’s dignified manner by reclaiming its central functions. Tell me about your work for Värmland Museum. The project has lasted four-five years. 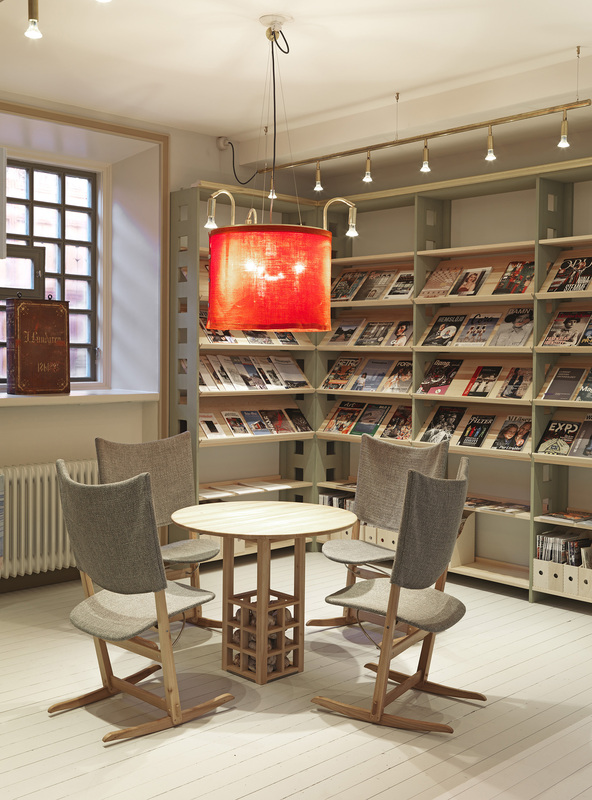 I have worked closely with museum director Åsa Hallén to make the original museum building more accessible, including moving the library back from the new to the old building, which makes it more public. We have taken great care to open it up and when you come into the library from the entrance hall the aim is to give the visitor a view over the entire space and a sense of the whole. I strove to work according to the building’s architectural spirit and tried to combine the past and the present without any contradiction. The new environment takes into consideration the original character and details, which act in harmony with a contemporary design. I designed several pieces of furniture for the interiorsand used some of my earlier chairs, for example, Boheme and Zen Conference. Another important aspect is the craftsmanship. A lot was done manually and all the surface treatments, even when manufacturing took place at Gärsnäs, was done by hand with linseed oil wax. It is durable, practical and ecological. Which kind of wood was used most frequently in the design? 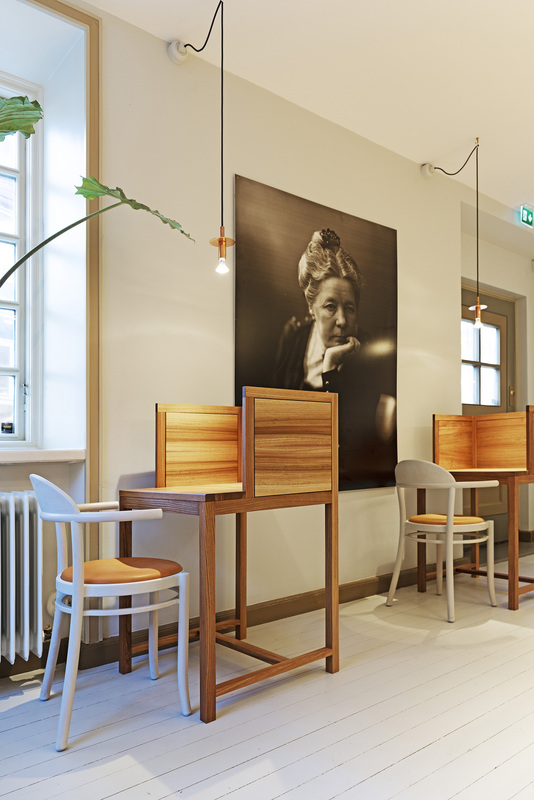 Most of the furniture – but not the shelves, Åsa’s table in mahogany and the sofas in oak – are made of elm. As a wood, it has many similarities with ash. Both are dense, strong and tough. Because of elm disease in northern Europe, it is quite difficult to find, but I was fortunate to discover what I needed at a small sawmill in Skåne. Rocking-chairs aren’t something one usually associates with you. No, that’s true. These particular rocking-chairs are made especially for the reading room adjacent to the library. Rocking-chairs are usually large and take up a lot of space, but my model is small and refined, which makes it easy to place in a setting. I personally made these eight in my workshop at Engarn and positioned them in groups of four around two tables with central bases filled with stone for ballast. In addition to the furniture, the interiors are also equipped with new lighting; who has designed this? I asked Jonas Bohlin to make a proposal regarding the lighting and without any direct discussion among ourselves about how it should look, I felt an immediate affinity between us. His lighting gives the environment a playful element, partly due to the lampshades of different colours. What about the sculpture bench in the courtyard? 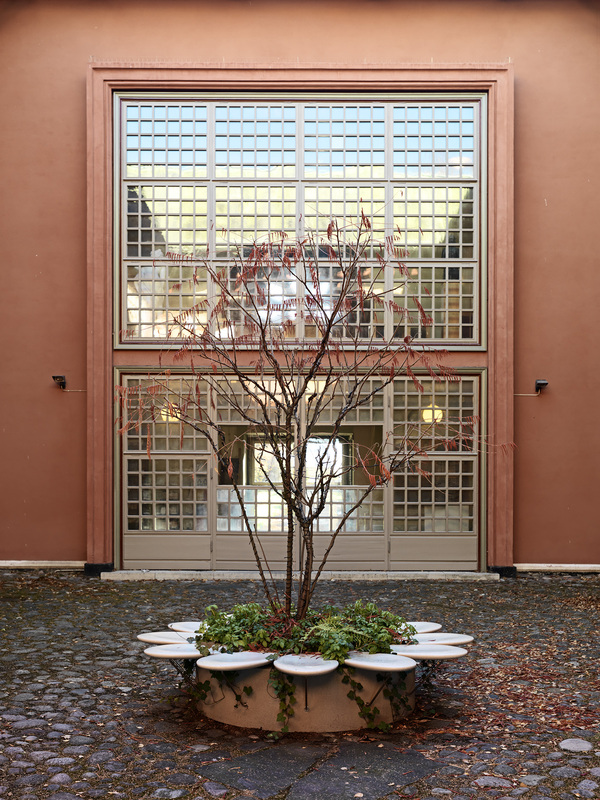 Cyrillus Johansson’s building is shaped around an open courtyard. Åsa asked me to create a sculpture, so I designed a bench shaped like a daisy. The 12 petals are made of concrete that has been sanded and treated. The middle has space to plant a tree and various shrubs. Behind the sculpture bench are wooden benches made of timber from a small sawmill managed by one of Carl Malmsten’s grandchildren near Sundsvall. The benches are outside all year and help attract people to the public courtyard. Which libraries have you worked with previously? Over the years, there have been quite a few. 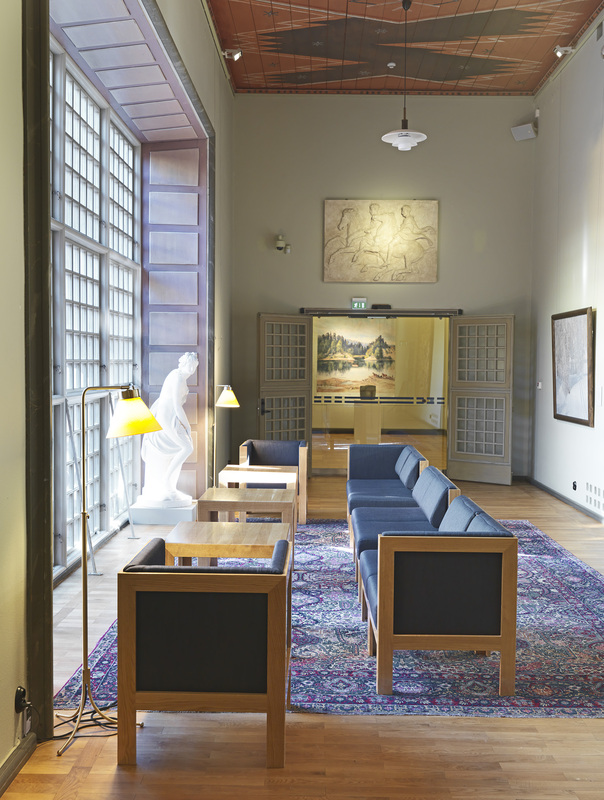 Besides well-known projects, such as the Riksdag Library, Karlskrona’s Naval Museum Library and the Royal Swedish Academy of Fine Arts, I have also worked on everything from libraries in Vaxholm and Åkersberga to Karolinska Institutet’s University Library, to name a few. I love libraries and have many positive experiences from such collaborations, often with very knowledgeable and dedicated library staff. Åke Axelsson describes the work for Värmland Museum as one of his most important projects, one that is fundamentally about the importance of craftsmanship in both interior design and architecture.